Canvas has this great wealth of tools that are just waiting to be deployed into your course. These tools are located in Canvas’ EduAppCenter. There are hundreds of apps in the EduAppCenter, so I thought I’d summarize just a few of the interesting ones available there, and some others that are available on the web. Many of these tools are free, others cost money or are subscription based for added features. Faculty and students alike are always asking for more collaborative tools, so I’ve mostly selected tools that have a collaborative slant. How do I find the apps? From the Settings area of your course site click on Settings, and then Apps, to find the EduAppCenter! Trello is a visual list tool that can be used for project management, collaboration, and much more! When Trello launched in 2011, the developers described it as “a web page where you make a bunch of lists. Each list contains cards. Each card is a thing that someone might want to work on” (Trello Launch blog post). On the back of each card, there’s room for including a description, conversations, file attachments, links, checklists, labels, and more. So why use this instead of just covering your whiteboard in post it notes? You can invite others to collaborate with you on your Trello board. So this tool ends up being useful for group projects, collaborations with your colleagues, etc. One of its strong suits is providing templates that can help get you started (see links below). And the best part? It integrates into Canvas. Just go to your Canvas course, click on Settings > Apps and search the app center for Trello. Trello can be added into Assignments and Modules as an External Tool. Tip: You must first create a Public board in your Trello account (and grab the board ID) in order to add it to your Canvas site via the LTI. Trello is a list-making, task-delegating, collaboration tool. Integrates into Canvas from App Center. Padlet is a similar tool to Trello, but simplified. It presents more like a Pinterest board, but without all the clutter and ads. Padlet’s website describes the tool as, “Somewhere between a doc and a full-fledged website builder, Padlet empowers everyone to make the content they want, whether it’s a quick bulletin board, a blog, or a portfolio” (What is Padlet?) The “free” version of Padlet is generously-featured enough to be used in a classroom or for group projects. You can collaborate with classmates or colleagues in Padlet simply by knowing their email address. Compared to Trello, which is project-oriented, Padlet is set up more like social media- a user posts text, a link, or a file- and other users may comment on, favorite, rank, or even grade the posting (based on settings you select). A benefit of Padlet over Trello is that Padlet can be set up to be private. Trello can also be private, but not if you want to use the Canvas integration. Padlet offers mobile apps, and the option to share or embed a full board into Canvas. There is currently no LTI integration for Canvas, but Padlet provides simple instructions on how to embed into Canvas. There are also mobile apps and browser plug-ins available to make adding to your Padlet wall easier! No direct integration, needs to be embedded into Canvas content page. From edshelf.com, “Flipgrid is an active, social learning platform that engages learners through video-based discussion. The app extends the web-based environment and creates new possibilities for reflection, discussion, demonstration and collaboration.” Instructors create a “grid” with a topic, and create a short (2.5 min or less) video prompt to share with the class. Then the students respond with their own videos! Students may reply to other videos with their own videos (90 seconds or less). Use cases for Flipgrid include Introduction or Ice Breaker videos for online classes, or weekly discussions around readings or current events. 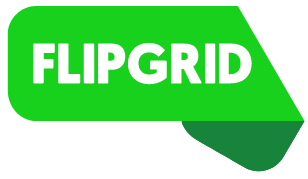 The downside of Flipgrid is that it is free to use, but you may only create 1 grid in a class (with unlimited Topics and responses) with a Free account- so if you teach more than one class at a time that you’d like to use Flipgrid in, you can purchase an upgrade if desired. Flipgrid integrates seamlessly into Canvas and has mobile apps as well. To try it in your Canvas course, just go to Settings > Apps in your course site, and search for Flipgrid. Piazza is a free, easy to use Q&A discussion platform that can be used as an alternative to the native Canvas Discussions tool. Some of the differences between Piazza and Canvas’ Discussion board is that the discussions are more like a traditional online forum, and as a bonus- are filterable and searchable! Comments occur in real time, so students can leave their browser open and see answers appear on the screen. Students also have the option to remain anonymous to their peers, which relieves some of the intimidation of ‘speaking in front of the class.’ Instructors have the ability to endorse correct answers to help steer the class in the right direction. Piazza integrates directly into Canvas and at WPI is already added to your course (it’s just hidden by default)! For WPI faculty, all you need to do is go to your course Settings area, then click on the Navigation tab at the top of the page. Locate the Piazza link under “Drag items here to hide them from students” and click and drag it to the top of the page to show it in your left-hand navigation. Don’t forget to click Save. Feed the Me is an open source, free, news feed aggregator that you can integrate into your Canvas course. Feed the Me is a newsfeed aggregator for your class. It’s open source, free to use, and integrates directly into Canvas. You can allow students to contribute their own feeds! Got any cool free apps that you are using in your course from the EduAppCenter that you want to let us know about? Feel free to comment below or email us. Want to learn more about these? Reach out to the ATC-TTL team at atc-ttl@wpi.edu. « AccessChecker, a new content accessibility tool is now available in Canvas!